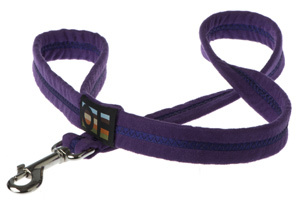 In a modern and unique purple, these suedette dog leads are strong and secure for your dog yet soft and comfortable for you to hold. A little bit of luxury for outings and walks. And if it gets dirty, simply pop it in the washing machine. Woof! The rich purple of this lead has hints of augergine and features a classic liberty stripe. 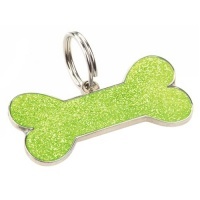 Perfect for country walks or the dog about town. Made from the finest luxury soft suedette and furnished with stylish, quality hardware. As well as being machine washable, these luxury dog leads have antibacterial and anti-dust mite properies, built into the fabric when it is woven. 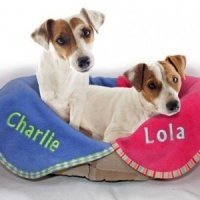 The fabric also has a built-in repellent, similar to Scotchgard, to protect the lead from stains and oils from the dog's coat. You are purchasing comfort and durability with timeless good looks. 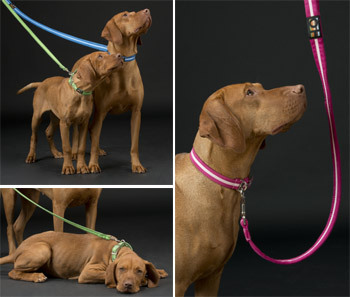 From the Oscar & Hooch Signature range, these super leads come in a large choice of colours that will suit any breed or coat. 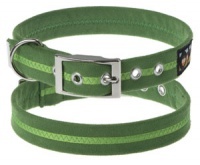 They all have optional collars so your dog can look smart in the matching set. These leads are all 1m in length (100cm) with a choice of 3 widths (narrow, medium and wide).